A Canberra professor has received an AM exactly 20 years after his late father received the same honour…a woman becomes the 4th member of her family to receive an award…a medical researcher now resident in London is behind the lab work that went in to creating drugs which generate annual sales of over US$25 billion…a mental health expert expresses concern on the plight of those suffering from mental illnesses. We identified 26 honourees: Melbourne 11, Sydney 8, Canberra 2, Perth 2, Brisbane 1, NSW Country 1 and the UK 1. Professor and Head, Kennedy Institute of Rheumatology, Nuffield Department of Orthopaedics, Rheumatology and Musculoskeletal Sciences, University of Oxford, United Kingdom. Fellow, Royal College of Pathologists. Foreign Associate, National Academy of Sciences, USA. Corresponding Member, Australian Academy of Science. Member, European Molecular Biology Organisation. Martin Fellow, National Medical Health Research Council. Chairman, Centenary Institute Scientific Advisory Board, Sydney. Post Committee Member, National Medical Health Research Council. Appointed Knight Bachelor (Kt) in The Queen’s Birthday 2010 Imperial Awards Honours List (UK) for his services to medicine. Crafoord Prize, Royal Swedish Academy of Science, 2000; with colleague Professor Sir Ravinder Maini. Lasker Award for Clinical Medical Research 2003; with colleague Professor Sir Ravinder Maini. Cameron Prize for Therapeutics, University of Edinburgh, 2004; with colleague Professor Sir Ravinder Maini. Dr Paul Janssen Award for Bomedical Research, 2008; with colleague Professor Sir Ravinder Maini. Ernst Schering Prize, Germany, 2010; with colleague Professor Sir Ravinder Maini. Gairdner Award, Germany, 2014; with colleague Professor Sir Ravinder Maini. Curtin Medal, Australian National University, 2007. European Inventor of the Year, 2007; lifetime achievement award. 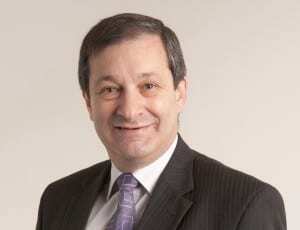 Chancellor, Monash University, since 2008. Strategic leadership in computer redevelopment and rationalisation. Philanthropic support for medicine and engineering. Best Publisher, Bell Awards for Publishing Excellence, 2006 and 2009. Lord Mayor’s Sustainability Award, City of Sydney, 2008. Patron, In2Science School mentoring program, Australian Science Media Centre, since 2013. Co-Founder, Stile Education Pty Ltd, 2012. 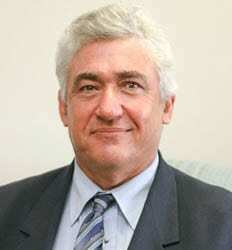 Chair, Amalgamation Committee, Florey Neuroscience Institutes (amalgamation of Howard Florey Research Institute, Brain Research Institute and National Stroke Research Institute), 2006-2007; Board Director, 2007; Member, Commercialisation Committee. 2005-2012; Patron, ACAN, since 2013. President, Australian Academy of Technological Sciences and Engineering (ATSE), since 2013; Chair, Communications Committee. Board Member, Clunies Ross Foundation (part of ATSE). Leading role in initiating the ‘Science and Technology Education Leveraging Relevance’ Project. Leading role and philanthropic donation to ‘Extreme Science Experience’. Foundation Chair, Steering Committee, ‘Securing Australia’s Future’ Project, Australian Council of Learned Academies, 2012-2013. Chair, ARC Centre for Excellence for All-Sky Astrophysics, since 2010. Chair, Victoria-Israel R&D Technology Fund, 2006. Chair, National Research Centre for the Prevention of Child Abuse, for 5 years. 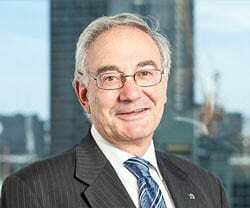 Chairman, Finkel Foundation, since 2001; philanthropic supporter of a wide range of organisations including Koori Heritage Museum; John Curtin School of Medical Research, Australian National University; and the Royal Institution of Australia. Founder and CEO, Axon Instruments Inc, 1983-2004. Fellow, Australian Academy of Technological Sciences and Engineering, since 2006. 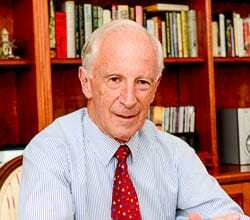 Appointed as a Member of the Order of Australia in the Australia Day 2006 Honours List for his service to biomedical science, particularly through the design and manufacture of a range of electronic instruments, and to support for medical research and education. For distinguished service to the arts as a film and television director and producer, and through strategic leadership and educational roles. Chief Executive Officer, Australian Film, Television and Radio School, since 2007. Drama Consultant, Zapruder’s Other Films, 2006-2007. Executive Director for Development, Nine Network, 2005-2006. Director of Television, ABC, 2001-2005; Head of ABC Drama, 1986-1990; Director and Producer, Education, Features and Drama, 1971-1981. Producer and Company Director, Southern Star Sandra Levy, 1998-2001. Producer, Southern Star Xanadu, 1990-1998. Director, St James’ Ethics Centre, 2010-2012. Acting Chair, Deputy Chair and Board Member, Sydney Theatre Company, 2001-2011. Member, Prime Minister’s 2020 Creative Australia Working Group; and Member, Minister for the Arts Advisory Panel on Cultural Policy, 2008-2010. Member, NSW Cultural Management Committee, 2003-2007. Member, Australian Film Finance Corporation, 1992-1996. Member, Australian Film Television and Radio School, 1990-1993. Member, Australian Film Commission, 1986-1989. Member, Australian Film Commission Women’s Film Fund, 1982-1984. The series was called “Palace of Dreams” and starred local Jewish actor Henry Szeps. Professor/Honorary Professorial Fellow, Graduate School of Public Health, Faculty of Health and Behavioural Sciences, University of Wollongong, since 2008; Associate Professor/Honorary Principal Fellow, 1994-2008. Clinical Associate Professor, Department of Psychological Medicine, Faculty of Medicine, University of Sydney, 2005-2009; Clinical Senior Lecturer, 1992-2005. Deputy Commissioner, Mental Health Commission of New South Wales, since 2013. Current Visiting Consultant Psychiatrist, Centre for Rural and Remote Mental Health, University of Newcastle. Visiting Senior Fellow, Departments of Medical Anthropology and Social Medicine, Harvard University, Boston, 2006. Visiting Professor, Department of Psychiatry, University of Wisconsin, 1990. 1991-2004; Senior Specialist Psychiatrist, 1985-2009; Specialist Psychiatrist, 1979-1985. Visiting Senior Consultant in Psychiatry, Far West Hospital Area Health Services, Broken Hill and Wilcannia, since 1985. Co-established, The Mental Health Services Conference, 1991; Member, Management Committee, since 1991; Deputy Chair; Secretary. Member, Project Management and Steering Group, Review of the Australian National Mental Health Standards, 2006-2009. Member, International Review of Recovery measures for Australian Health Ministers Advisory Council, Commonwealth Department of Health and Ageing, 2010-2011. Consultant, Australian Governments’ Psychiatric Project to East Timor, 2000-2002. Member, National Mental Health Outcomes Measures Expert Committee, since 2002. Member, Early Prevention and Intervention National Project Committee, Mental Health Branch, Commonwealth Department of Health and Ageing, 1995-1996. Member, Ministerial Taskforce to form a Mental Health Commission in New South Wales, 2011. Chair, Early Prevention and Intervention in Psychosis Steering Group, 1996- 2004. Member, New South Wales Casemix Clinical Consultative Committee, 1996-2001. Expert Assessor, Civil Court Proceedings, General Insurance Office, Law Department of New South Wales, since 1998. Consultant Psychiatrist, Asylum Seekers’ Professional Network, since 2005. Consultant, Australian Capital Territory Mental Health Services, 2005-2007. Member, Mental Health Outcomes and Assessment Training Steering Committee, Centre for Mental Health, 2002-2003. Member, NSW Mental Health Outcomes and Assessment Training Steering Committee, 2002. Executive Member, North Sydney Area Mental Health Services Steering Committee, since 1999; Member, 1994-1999. Consultant, Friesland Mental Health Services, Netherlands, 2001; Mental Health Center of Boulder, Colorado, USA, 1999; Mental Health Services Quality Assurance Taskforce, Department of Health , New Zealand, 1995; Swedish Psychiatric Research Institute, Stockholm, 1995; Centre for Mental Health Services Development, Kings College Institute of Health, University of London, 1992-1994. Member, Quality Improvement Committee, Royal Australian and New Zealand College of Psychiatrists, 2003-2007; Member, Board of Community Relations, 2008-2011. Independent Expert Consultant, Framework for Community Pharmacists in Mental Health, Pharmaceutical Society of Australia, 2011-2012. Chair, working party on psychiatric clinical indicators, Australian Council of Healthcare Standards, 2005-2009. Member, Schizophrenia Fellowship of New South Wales, since 1982. The Independent Hospital Pricing Authority and mental health services: it is not a case of “one size fits all”, Medical Journal of Australia, 2012. If the land is sick, we’re sick: The impact of prolonged drought on the social and emotional well-being of Aboriginal Communities in NSW, Australian Journal of Rural Health, 2011. Mental Health Commissions: making the critical difference to the development and reform of mental health services, Current Opinion in Psychiatry, 2010. Australian Psychiatry: coming of age?, International Psychiatry, 2005. De-institutionalisation for long-term mental illness; a 6 year follow up, Australia and New Zealand Journal of Psychiatry, 2001. National Mental Health Standards, 1997. Area Integrated Mental Health Service (AIMHS) Standards , 1993 and 1995. Delivered over 150 papers at international, national and state conferences. Ian Simpson Award, Royal Australian and New Zealand College of Psychiatrists, 1994; acknowledges most outstanding contributions to clinical psychiatry. Alan Rosen had personal thought for J-Wire when reflecting on his newly bestowed honour. From London he wrote: “i am most appreciative to those who nominated me, but the most important aspect of this award is another opportunity to highlight yet again the plight of Australians with severe mental illnesses and their families. I am presently in London and all I see and hear is about further withdrawal of resources from the NHS and social services, causing inhumanely prolonged queues for urgent mental health assessments and care. when students and others of all ages at high risk due to mental health problems are already struggling with the loss of opportunities and income, and other prolonged impacts of the global financial crisis. I hope that our Australian governments will find another way to bring us gently back to balancing the national accounts and be able to rethink the imposition of an “austerity” budget on the most ill, disabled and needy in our communities. In Australia the most vulnerable of our citizens are those who suffer a quintuple whammy, often simultaneously : mental illness, drug and alcohol problems, physical and dental ill-health, dire poverty, and disaffection and alienation, whether through being indigenous, homeless, an ex-prisoner, an asylum seeker or just being isolated from kin and community. It would be ironic, if it wasn’t so tragic, that our governments tend to cut essential support services just when people have become most vulnerable to hopelessness and suicide, largely due to government policies which have denied them educational opportunities, purposeful jobs, general and mental health services and financial support. Withdrawing resources from health services will inevitably rebound most severely on mental health services , as Mental health is the bottom of the pecking order in any general hospital dominated organisation or health bureaucracy. So funding for essential mental health services will be diverted even more than they are at present (and it is already happening pretty badly ) to make up for the very real shortfall in funds for emergency departments and medical and surgical procedures. 4.equity and parity of resourcing at last in proportion to the national health burden due to mental illnesses. Director of Paediatrics, Neurologist and Epilepsy Specialist, Austin Health and Royal Children’s Hospital. Chair of Paediatric Neurology Research, Departments of Medicine and Paediatrics, the University of Melbourne, since 2005. Senior Principal Research Fellow, Florey Institute of Neuroscience and Mental Health, since 2010. Chair, Commission for Classification and Terminology of the Epilepsies, International League Against Epilepsy (ILAE), 2009-2013; Member, 2005-2009 and 2013-2017. Member, ILAE Genetics Commission, 2005-2009 and 2009-2013. Member, Research Committee, International Child Neurology Association, 2010-2014. Invited lecturer/Chair of numerous national and international professional fora and conventions. Fellow, Australian Academy of Science, 2014. L’Oréal UNESCO Women in Science Laureate for the Asia-Pacific region, 2012. GlaxoSmithKline (GSK) Award for Research Excellence, 2013. Ambassador for Epilepsy, International Bureau for Epilepsy and the International League Against Epilepsy, 2013. Eric Susman Prize, Royal Australasian College of Physicians, 2009. Epilepsy Research Recognition Award for Clinical Research, American Epilepsy Society, 2007. Chancellor’s Prize, the University of Melbourne. 1999. 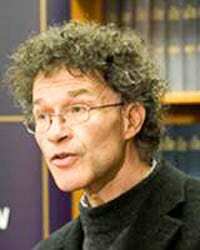 Director, Australian Centre for Environmental Law, ANU College of Law, Australian National University, since 2004; Director, Centre for Climate Law and Policy, since 2008. Expert Adviser, Environment and Natural Resources Committee, Inquiry into the Environmental Effects Statement Process in Victoria, Parliament of Victoria, 2011. Member, Expert Panel, Independent Review of the Commonwealth’s Environment Protection and Biodiversity Conservation Act, 2008-2009. Project Leader, Scoping Study on Western China Desertification, Australian Centre for International Agricultural Research, 2008. Australian Guest Curator, ‘Vienna: Art and Design, Klimt, Schiele, Hoffmann’, Winter Masterpieces Exhibition, National Gallery of Victoria, 2011. Co-Curator, ‘The Rugs of War’, School of Art, Australian National University, 2003; Nexus Multicultural Centre, Adelaide, 2004. Co-Curator, ‘Heads of the People: A Portrait of Colonial Australia’, National Portrait Gallery, 2000. – Good Living Street: The Fortunes of my Viennese Family, Sydney, Allen & Unwin, 2011. – The Colonial Earth, Melbourne, Melbourne University Press, 2000. – Burke and Wills: From Melbourne to Myth, Canberra, National Library of Australia, 2002. – Places Worth Keeping: Conservationists, Politics and Law, Sydney, Allen & Unwin, 1993. – Burke and Wills: From Melbourne to Myth, Sydney, David Ell Press, 1991. National Gallery/Oxford University Press, 1987. Fellow, Academy of the Social Sciences in Australia, since 2003. Fellow, Australian Academy of the Humanities, since 2003. Dr Bonyhady’s family fled Vienna in 1938. Sccording to one of his books, they brought to a small flat in Sydney a significant art collection from their home in the Austrian capitol where they were major patrons pf the arts. Head, School of Philosophical and Historical Inquiry, Faculty of Arts and Social Sciences, University of Sydney, since 2011. Foundation Director, Women’s Studies Centre, 1990-1995. Head, School of Historical Studies, Monash University, 1997-1999 and 2005-2008. – The making of Catherine Cookson’s autobiography, Women’s History Review, 2013. – Biography and History, 2010.
the Anti-Apartheid Movement, Journal of Southern African Studies, 2008. – Companion to Women’s Historical Writing, 2006 (Co-Ed). – Bombay to Bloomsbury: A Biography of the Strachey Family, 2006. – Gendering European History, 2000 (with Glenda Sluga). – Australian Feminism: A Companion, 1998 (with Moira Gatens). – English Feminism 1780-1980, 1997. – Destined to be Wives: The Sisters of Beatrice Webb, 1986. Vice-President, Australian Academy of the Humanities, 2002-2005. President, Australian Women’s and Gender Studies Association, 1991-1992. Member, British Royal Historical Society. Fellow, Australian Academy of the Humanities, since 1995. Barbara Caine said she was overwhelmed and “totally surprised” by the honour. 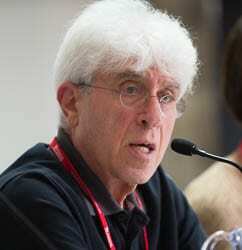 A feminist scholar and historian, Caine is a supporter of women academics. “In many cases, women are facing situations which are discriminatory, which expect more of women than of men, which give women more and harder administrative tasks,” she said. She said setting up the Women’s Studies Centre at the University of Sydney in the early ‘90s was one of her career highlights. “Being an academic is a wonderful and fabulous thing to be and I’m very fortunate, I really enjoy it,” she said. The Johannesburg-born woman, 66, is a mother to two children. Her daughter works for the Australian Council of Social Service and is currently in New York, while her son is finishing a law degree at the University of Melbourne. She said the highlight of her life is her children. For significant service to the print media industry as a journalist and editor, and to the advancement of professional education and development. Senior Fellow, Centre for Advancing Journalism, University of Melbourne, 2012-2013; Inaugural Director of the Centre, 2007-2011; current Honorary Senior Fellow. Editor in Chief, The Age, 2003-2004; Editor and Associate Publisher, 1997-2003; Deputy Editor, 1993-1996. Washington Correspondent, The Age and The Sydney Morning Herald, 2005-2007. Editor, TIME magazine Australia and South Pacific, 1990-1993; Senior Writer, Melbourne, TIME magazine, 1987-1990. Walkley Award 1982, 1988 and 1996. Quill Award, Melbourne Press Club, 2001. For significant service to the visual arts as a portrait painter. Portrait artist with works displayed at a range of national and international galleries including the National Portrait Gallery, Parliament House, The Royal Collection in London, and National History Museum of Denmark. In 2006 he was awarded the first official Danish Commission to paint a portrait of HRH Crown Princess Mary of Denmark and, in 2012, was commissioned to paint a Diamond Jubilee portrait of Her Majesty Queen Elizabeth II. – Dame Quentin Bryce AD CVO, former Governor-General. – The Honourable Michael Kirby AC CMG, former Justice, High Court of Australia. – The Honourable Paul Keating, former Prime Minister. – Mr Vladimir Ashkenazy, Russian pianist and Conductor Laureate. Professor, Faculty of Medicine, Monash University, since 2005; Director, Monash Centre for the Study of Ethics in Medicine and Society, 2005-2013; Associate Professor, 1998-2004; PhD Supervisor; Member, University Academic Board, 2006-2010. Clinical Associate, Faculty of Medicine, University of Melbourne, since 1986; Senior Lecturer, Department of Community Medicine, 1985-1992; Ethics Teaching Coordinator, 1985-1992. Visiting Professor, Gadjah Mada University, Indonesia; University of Taiwan; American University of Sovereign Nations. 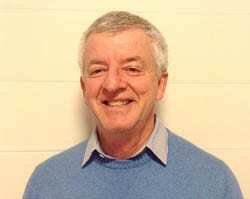 Lecturer and Tutor, variety of subjects including pure mathematics, social theory and politics, Monash University, La Trobe University, Royal Melbourne Institute of Technology, 1974-1981. 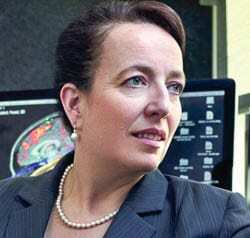 Senior Research Fellow, Baker Medical Research Institute, 1997-2003; Director, Eleanor Shaw Centre for the Study of Medicine, Society and Law, 1992-2003. Member, Ethics of Medicine and Law Committee, Australian Medical Association, since 1998. Chair, Expert Advisory Group of Ethics, Royal Australasian College of Physicians, 2007-2013; Member, College Policy and Advocacy Committee, since 2005; Ethics Convenor, 1998-2013. Principal Author, RACP guidelines for Ethical Relationships between Medical Practitioners and Industry. Deputy Chair, Asia-Pacific Ethics Forum, since 2012. Director, Health Ethics Archive, 2000-2011. Chair, Ethics Committee, International Diabetes Institute, 1998-2010. Member, Ethics Advisory Committee, US Endocrine Society, 1998-2007; Laureate Awards committee, 1998‑2007. Chair and Co-Founder, International Health Workforce Society of Australasia, since 2012. Deputy Chair, Australasian Health Ethics Research Association, 2006-2010. Chair, Australian Health and Development Alliance, 2005-2010. 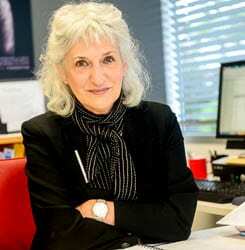 President, Australian Bioethics Association, 1995-2000; Member, National Committee, 1992-2000. Director, Clinical Ethics Service, Alfred Hospital, 2001-2010; Visiting Endocrinologist, since 1991; Physician‑In-Charge, Menopause and Metabolic Clinic, since 1992; Member, Ethics Review Committee, since 1992. Visiting Physician, Cabrini Private Hospital, Melbourne, since 1992; The Avenue Private Hospital, Melbourne, since 1992; Latrobe and Regional District Hospital, since 2004. Member, Life Saving Drugs Review Panel, Commonwealth Department of Health, since 2013. Member, Development Grants Committee, National Health and Medical Research Council, since 2013. Member, Justice Health Advisory Committee, Victorian Department of Justice, since 2008. Member, Genetics Services Advisory Committee, Department of Human Services Victoria, 2007-2009. Director and Board Member, Australian Research Centre into Complementary and Alternative Medicines, 2003-2009. Author, over 300 articles on science, ethics and philosophy; 14 books and numerous publications. Founder and Chair, Editorial Board, Journal of Bioethical Inquiry (international, interdisciplinary publication), since 2003. Ethics Editor, Internal Medicine Journal, since 2003. Member, Editorial Board, Hysteric: Body, Medicine, Text, since 1995. Editorial Associate Ethics, Journal of Clinical Endocrinology and Metabolism, 1998-2006. Member, Editorial Board, Journal of Judaism and Civilisation, 1995-2005. Executive Director and Co-Founder, Global Reconciliation, since 2002. Member, Advisory Board, The Globalism Institute, since 2007. 1997-2007; National Council Member, 2002-2007. Board Member, Australians Donate, 2002-2008. Director, Quality Use of Complementary Medicines Ltd, since 2013. Fellow, Royal Australasian College of Physicians, 1991. For significant service to the law in the field of alternative dispute resolution, and to the community. Vice-Chairman, 1989-1995; Board Member, for 10 years; Founding Member, 1989. Adjunct Professor, School of Law, Queensland University of Technology, since 2010; Lecturer, for 30 years; Council Member; Member, Legal Practices Course’s Skills and Professionalism Consultative Sub-Committee, 1998-2000. Appointed, Queensland Law Reform Commission, for several years. Guest Speaker, Mediators Conference, Bar Association of Queensland, 2011. Inaugural Member, Alternate Dispute Resolution Committee, Law Council. Inaugural Member, Alternate Dispute Resolution Committee, Queensland Law Society; provides pro bono services. Managing Partner, Clayton Utz’s, Brisbane, 1992-1994 and 2006-2011; Partner, for 35 years. Current Vice-President, The Brisbane Club; Committee Member. Board Member, Ecofund, Queensland State Government, since 2010. Board Member with a range of organisations including Wesley Research Institute, Mack Trucks of Australia, Volvo Commercial Vehicles of Australia, Iris Buses Australia, and Australian Commercial Disputes Centre. Member, Advisory Group, National Seniors Council, Queensland. Member, Lord Mayor’s Brisbane City Infrastructure Council. Recipient, Alternative Dispute Resolution Lawyer, Brisbane, Best Lawyers Australia, peer review survey, 2013. 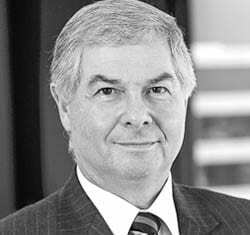 Recipient, One of Australia’s Best Lawyers in Alternative Dispute Resolution, each year from 2008 to 2013. Michael Klug told J-Wire that he is very proud to receive the award. Director, Justice Health Services, ACT Government Health Directorate, since 2007. Clinical Director, Population Health, New South Wales Corrections Health Service, 1998‑2004. Professor of Medicine, Medical School, ANU College of Medicine, Biology and Environment, Australian National University, since 2008. Coordinator, Custodial Medicine Unit, Master of Forensic Medicine, Monash University, current. Board Member, Community Restorative Centre, 2013-2014. Member, Social Inclusion Group, Prime Minister’s 2020 Summit, 2008. Member, Prisoner Health Special Interest Group, Public Health Association of Australia, for many years. Convenor, First National Tuberculosis Conference, 1994. Current Member, Policy and Advocacy Committee, Australasian Faculty of Public Health Medicine. Anti-Tuberculosis Association), 2000-2008; Board Member, 1998-2010. Established and led, Communicable Diseases Unit, NSW Department of Health, for almost 10 years. Communicable Diseases Epidemiologist, since the late 1980s. Current Member, Editorial Board, International Journal of Prisoner Health. Fellow, Australasian Faculty of Public Health Medicine, since 1990. Michael Levy receives his award exactly 20 years after his late father Gerry Levy, a luminary of the Sydney Jewish community, received the same distinction. For significant service to architecture and urban planning, particularly through the development of infrastructure in Sydney, and to professional associations. Director of Planning, Cox Richardson Architects and Planners, since 2001. Senior Positions, Devine Erby Mazlin Architects (now known as DEM Group), 1989-2001. Executive roles, New South Wales Department of Planning, 1969-1989; Development Director, Macarthur Development Board (responsible for the structure plan of Campbelltown, Camden and Appin), Head, Policy Branch; responsible for Urban Development Program. Current Member, Employment Lands Policy Committee, Urban Development Institute of Australia; Member, Planning and Infrastructure Committee, since 2002. Member, Transport Chapter, Planning Institute of Australia, since 2007; Life Fellow, 2006. State Membership Convenor, Royal Australian Planning Institute, 1993-1998; Treasurer, 1989-1993; Member, Division Committee, 1973-1992; Chairman, Environmental Committee, 1973-1979. Chairman, Central Urban Committee, Royal Australian Institute of Architects, 1971-1976; Vice-Chairman, 1970-1971. 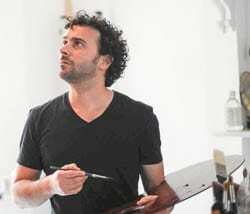 Current Council Member, Planning Research Centre, Faculty of Architecture, Design and Planning, University of Sydney. Member, Design Excellence Advisory Panel, Parramatta City Council, since 2004; Member, Design Review Panel; Member, Council Transport Forum, 2009-2010. Member, Reference Panel, Transport Blueprint for New South Wales, 2009. Member, Professional Working Group, Department of Planning, 2006. Urban Design Advisory Committee, Property Services Group New South Wales, 1993. Chairman, Sub-Committee of the Western Sydney Planning and Development Committee, University of Western Sydney, 1988-1989. 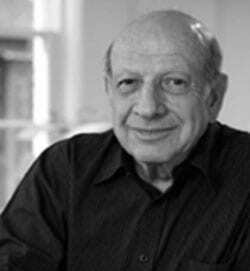 Adjunct Professor, Faculty of Design, Architecture and Building, University of Technology Sydney, since 1965; Member, Course Advisory Committee in Urban Planning, Urban Estate Management and Land Economics. Guest Lecturer, Macquarie University; Armidale University, for many years. Has published a range of books, research papers, and has lectured at several seminars. 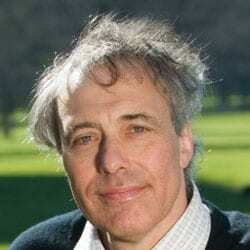 Founder, Peter Meyer Fund, 2004; funds research into schizophrenia. Bob Meyer said he felt it a great honour to be recognised for his work. For significant service to the Hebrew congregation of Victoria, particularly through the development of spiritual and educational programs, and to a range of interfaith organisations. Emeritus Rabbi, Temple Beth Israel, since 2013; Senior Rabbi, 1997-2013. Consulting Rabbi, Temple David Congregation, Western Australia, ongoing. Member, Union for Progressive Judaism, 1997-2013. 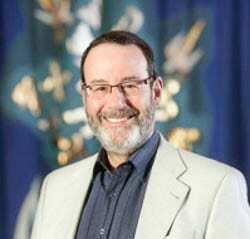 Chairman, Rabbinic Council of Progressive Rabbis Australia, Asia and New Zealand, for 2 terms; Member, since 1997. Honorary Associate Rabbi, Sim Shalom Community, Hungary, since 1997. Rabbi, North West Surrey Synagogue, United Kingdom, 1984-1997. Professional Fellow, Faculty of Theology and Philosophy, Australian Catholic University. Contributor, Limmud Oz (annual Australian Jewish Education Program), ongoing. Teacher, Adult Education Programs, Jewish Museum of Australia, ongoing. Religious Studies Lecturer, Bristol University, 1973-1979; specialising in the religions of India. the Council’s ‘Grass Roots Dialogue’ project. Participant, ‘Holy Switch’ program, ABC’s Compass, 2012. Member, Port Phillip Multi-faith Network, City of Port Phillip, since 2007. Participant and Contributor, various events and host programs, Jewish Christian Muslim Association of Australia, ongoing. Presenter, Parliament of World Religions, 2009. 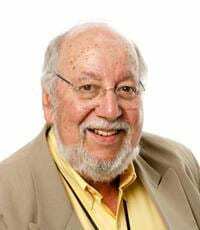 Rabbi Fred Morgan is reluctant to accept his AM as merely a reflection of his own work, preferring to credit the honour to the communities he has served. “I always saw the purpose of my rabbinate as enabling members of the community to create the community as they wanted to see it, and to stretch their vision,” he told <I>The AJN<P>. Though a long list of Rabbi Morgan’s roles suggest that perhaps he is being modest. The Emeritus Rabbi at Melbourne’s Temple Beth Israel (he retired last year from the position of senior Rabbi), has been awarded the AM for significant service to the Jewish community of Victoria, particularly through the development of spiritual and educational programs, and to a range of interfaith organisations. He is currently working as a Professorial Fellow in the faculty of theology and philosophy at Australian Catholic University, furthering his many years of dedicated work in the field of interfaith. Emeritus Professor, Biochemistry and Molecular Biology, Monash University, since 2013. Director of Education, School of Biomedical Sciences, 2009-2012. Associate Dean (Science), Faculty of Medicine, 1993-1995. Associate Director, Centre for Molecular Biology and Medicine, 1991-1994. Personal Chair in Biochemistry, 1990-2012. Reader, Department of Biochemistry, 1983-1990. Senior Lecturer, Department of Biochemistry, 1979-1982. Lecturer, Department of Biochemistry, 1972-1978. Australian Commonwealth Postgraduate Scholar, Sydney/Monash University, 1968-1972. Honorary Professorial Fellow, Florey Neuroscience Institutes, University of Melbourne, since 2011. Deputy Director, Centre of Excellence in Structural and Functional Microbial Genomics, Australian Research Council, 2003-2008; Chief Investigator, 2005-2010. Chief Investigator, Programs Grant on Neurodegenerative Disorders, National Health and Medical Research Council, 2003-2007. Secretary General, Federation of Asian and Oceanian Biochemists and Molecular Biologists (FAOBMB), since 2012; Member, Council (representing Australia); Co-opted Member of Executive, 2008-2011. Member, National Committee for Biomedical Sciences, Australian Academy of Science, 1990-1997 and 2005-2008. Member, Nominations Committee, International Union of Biochemistry and Molecular Biology, 2003-2008; Member, Committee on Symposia, 1989-1998. Honorary Member, Australian Society for Biochemistry and Molecular Biology, since 2013; President, 2005-2006; Past President, 2007; Member, 1967-2012; FAOBMB Delegate, 2008‑2011; Victorian State Representative, 1989-1992. Foundation Director and Board Member, Genome Conference Inc, 1992-1995. Member, Australian Neuroscience Society, since 2003. Dean’s Award for Excellence in Research, Faculty of Medicine, Nursing and Heath Sciences, Monash University, 2003. Lemberg Medal, Australian Society for Biochemistry and Molecular Biology, 2001. Australian Academy of Science/Taiwan Exchange Program Fellowship, 1997. Boehringer-Mannheim Medal, Australian Biochemical Society, 1978. Appointed to University of Texas Medical Branch, (UTMB) to establish Geriatric Medicine, 1986-1991; Chairman, UTMB Coordinating Centre on Ageing 1987; elevated to Distinguished Professor in the UTMB Medical Faculty 1989. Chairman, Geriatric Committee, Galveston County Medical Society, 1987; Member, Area‑Wide Long-Term Care Coordinating Committee, Houston-Galveston Area Council, 1987; Member, Committee on Aging and Nursing Homes, Texas Medical Association, 1988. Member, Expert Advisory Panel in Health Care of the Elderly, World Health Organization (WHO), 1983-1991; Director, WHO Collaborating Center on Care of Nutrition in the Elderly, Mount Royal Hospital, 1980-1986; WHO Consultant, Care of the Elderly and Disability Prevention in Southeast Asia covering India, Bangladesh, Burma, Thailand, and Indonesia, 1980-1981; numerous other consultancy involvement, 1974-1986, including Care of the Younger Disabled; WHO Fellow, 1974. Foundation Professor of Geriatric Medicine, University of Melbourne, 1976-1986. Director, Mount Royal National Research Institute of Gerontology (now National Ageing and Research institute), 1976-1986; developed clinical geriatric services and conducted gerontological research addressing the social aspects of ageing. Consultant to Commonwealth Department of Health. Held membership of Australian Geriatric Society, the Australian Association of Gerontology (Council Member), the Research Committee of both the National and Victorian Council on the Ageing, and the Independent Assessor Panel of the National Health and Medical Research Council. Post retirement, provided expert advice to Montefiore Homes for the Aged, Melbourne, on the development of aged care services, for many years pro bono; actively involved in the Australian Friends of the Hebrew University of Jerusalem. Fellow, Royal Australasian College of Physicians. For significant service to the legal profession, particularly in the field of family law. Judge, Family Court of Australia, 1998-2011; sat on numerous committees. Chairman, NSW Bar Council Family Law Committee, 1991-1998; Committee Member, 1985‑1998. – Family Law Legal Aid Committee, 1987-1989. 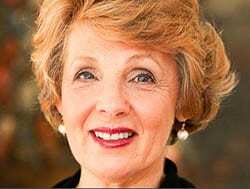 – Australia Family Law Section, 1992-1993. – Professional Conduct Committee #3, 1994. – Legal Aid Committee, 1996-1997. Family Court Liaison Officer, 1996-1998. Chairman, Family Law Practice Advisory Committee, College of Law, 2006-2012. Consultant to both the Australian and the NSW Law Reform Commissions. Adjunct Professor and Moot Master, Faculty of Law, University of Sydney, since 2011. Visiting Lecturer, China University of Political Science and Law, Tsinghau University, Beijing. 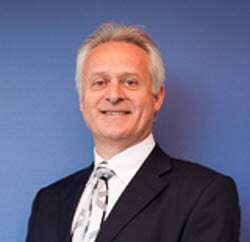 Professor and Director of Clinical Haematology and Bone Marrow Transplant Service, Melbourne Health/Royal Melbourne Hospital and the University of Melbourne, since 1993; played a key role in establishing the Bone Marrow Transplant Service. Director, Western and Central Melbourne Integrated Cancer Service (WCMICS), since 2008; former Chair, Haematology Tumour Group; WCMICS is a state government-funded partnership between the Peter MacCallum Cancer Centre, Royal Melbourne Hospital, Royal Women’s Hospital, St Vincent’s Hospital, Werribee Mercy and Western Health. Head, Bone Marrow Transplant Unit and Clinical Haematology, The Alfred Hospital, 1984‑1993. Executive Committee Member, Centre for International Blood and Marrow Transplant Research and its predecessor, the International Bone Marrow Transplant Registry (the Centre is a US-based international collaborative research organisation); Vice-President representing Australia, Africa and Asia; Co-Chair, Chronic Leukaemia Working Committee, 2000-2010; former Member, Nominating Committee and Advisory Board. Current Vice-Chairman, Clinical Working Committee, World Marrow Donor Association. Chair, Executive Committee, International Paroxysmal Nocturnal Haemoglobinuria Registry. Former Board Member, Worldwide Network for Blood and Marrow Transplantation. 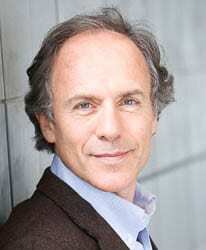 Current Board Member, Australian Bone Marrow Donor Registry; Chairman, Scientific Advisory Committee, since 1997. Current Steering Committee Member, Australian Bone Marrow Recipient Registry. Inaugural President, Bone Marrow Transplant Society of Australia and New Zealand, 2004‑2010. Current Member, Cancer Quality and Outcome Committee, Department of Health Victoria (WCMICS representative). Current Member, Victorian Integrated Cancer Service Network (WCMICS representative). State Councillor (Victoria), Haematology Society of Australia and New Zealand, 1995-2001. Editor-in-Chief, Internal Medicine Journal, since 2004; journal of the Adult Medicine Division, Royal Australasian College of Physicians. Member, Editorial Board, Bone Marrow Transplantation. Member, Editorial Board, Blood Reviews. Author of over 200 scientific papers and book chapters in the field of bone marrow transplantation and blood disorders. Carl De Gruchy Medal, Haematology Society of Australia and New Zealand; the Society’s highest honour. For service to the community, particularly in the area of social welfare. Vice-President, Jewish Care Victoria (formerly known as Jewish Community Services and Jewish Welfare Society), since 2009; current Honorary Solicitor; Secretary/Vice-President, 1982-1991; Board Member, 1981-2003 and since 2007; Life Governor, 2003. Current Senior Cabinet Member, United Israel Appeal; Board Member, since 2001. Honorary Solicitor, Rabbinical Council of Victoria, since 2002; current Caulfield Hebrew Congregation. Inaugural Executive Secretary, Board of the Victorian Council for Social Services, 1982-1983. Inaugural Secretary, Australian Small Business Association, 1984-1988. Partner, Schetzer Brott and Appel, since 1979; now known as SBA Law. Member, Law Institute of Victoria, since 1974. For service to the community, particularly through anti-school and workplace bullying initiatives. Practising Psychologist, since the 1980s; currently trading as Evelyn Field Pty Ltd. Member, Advisory Board, National Centre Against Bullying, since 2002. Member, Australian Psychological Society, since 1979; Media spokesperson. Member, College of Counselling Psychologists, since 1980. Convenor, Therapeutic Practitioners Special Interest Group, International Association on Workplace Bullying and Harassment, since 2012; Co-Convenor, 2009-2011. Honorary Secretary, Australian National Association for Mental Health, 1986-1993. Committee Member, Mental Health Foundation of Victoria, 1982-1993. Involved in the establishment, Mental Health Foundation of Australia, 1979-1981. Author, Strategies for Surviving Bullying at Work, 2011. Author, Bully Blocking at Work: A Self-Help Guide for Employees and Managers, 2010. Author, Bully Blocking: Six Secrets to Help Children Deal with Teasing and Bullying, 2007. Author, Bully Busting: How to Help Children Deal With Teasing and Bullying, 1999. Author, Discover How You Can Be Bully Free – Empowering Anti-Bullying Strategies Revealed, (DVD). Board Member, Victims of Crime Assistance League (Victoria), for 5 years. Accredited Speaker/Member, National Speakers Association of Australia, for 17 years. Evelyn Field commented: “I am absolutely thrilled to receive this award. It is symbol that years of sacrifice and dedication to what is still an unpopular subject, ie treating children and adults injured by bullying, has been acknowledged. Although some bullying behaviours may appear innocuous, their impact can be devastating. Bullying, harassment, social exclusion damage the brain, causing physical, psychological, social and personality injuries. My mother left Berlin after Kristallnacht, my grandfather died before the war leaving my grandmother to face a horrible death in Poland. Then following family financial stresses, I was bullied as a child at Mount Scopus College. But when my children started school, I had the good fortune to work at Mt Scopus as their first psychologist. To my surprise I discovered that many other children experienced bullying and were affected by it. Later on, I developed my social survival skills model, based upon my professional experiences, the loss of my oldest child, Miriam and the wonderful support from my family and friends. Once I decided to write about school or workplace bullying, the media were always supportive, publishers often in denial and colleagues were wary. Although now there is greater awareness of school and workplace bullying, the theory and practice around diagnosis and treatment are still in their infancy. However, I feel that my life story has become entwined in my work, giving me the strength to go deeper into the world of bullying and find simple solutions for those affected. Thus, I have written four books on bullying with another one hopefully on its way, I have provided training on school and workplace bullying to many schools, organisations and psychologists, in Australia and overseas. I have supported and empowered many children, adolescents and adults to manage bullying in my private practice. The media I have done and my website provides lots of free information. Next week I will be convening the first international, full day meeting on diagnostic and treatment issues for targets of workplace bullying, which will precede the International Association of Workplace Bullying and Harassment Conference in Milan! For service to the community, and to the Sydney Jewish Museum. Volunteer, Sydney Jewish Museum, since 1992; Instigator, ‘Remember Me’ program (monthly presentation); Member, Support Group for Survivor Guides, since 2005. Volunteer Presenter/Member, Courage to Care, since 1999. 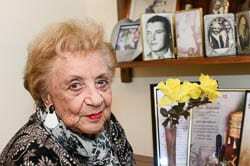 Lena is 95 and started working as a volunteer at the Sydney Jewish Museum eight years ago. For service to the community, particularly to aged care organisations. Representative to the Board of Governors of B’nai B’rith International, since 2008. B’nai B’rith NSW Representative, B’nai B’rith Retirement Villages, 2004-2012. Administrator, Rose Bay B’nai B’rith Retirement Village, 2001-2003. Former Director, Harley Nursing Home, Cremorne. Former Director, Colonial Nursing Home, Bexley. Former Director, Lark Ellen Nursing Home, Sutherland. Former Director, The Bay Nursing Home, Blakehurst. For service to the community through a range of charitable organisations. 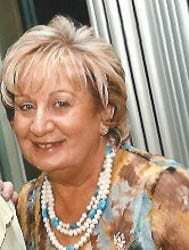 Patron and President, Melbourne Hebrew Ladies Benevolent Society, since 2000; Member, since 1982. Chair, Friends of Montefiore, Jewish Care Victoria, since 1984; Life Governor, 2007. President, Mother’s Association, Mount Scopus College, 1973-1983; Founder, informal school fundraising committee, 1966-1973; President, College debutante balls, 1972-1973. Named First Lady Patron of the College, Mount Scopus College, 1979. Delysia Pahoff told J-Wire: “This is the fourth Australian honour for my family. Community means everything to me.For 31 years, I have run a bruncheon and this year’s raised almost $95,000. Funds from the bruncheons have allowed us to build a playground for disabled Jewish children. I enjoy working on projects where I can see the fruits of my donor’s labour and money. I have travelled a long road since 1965 and have worked with some wonderful people. I am very proud to have received this recognition. For service to the community, particularly through Holocaust education organisations. 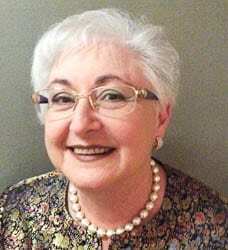 Volunteer Guide, Speaker and Presenter, Holocaust Institute of Western Australia, since 1990. Recorder, Holocaust survivor stories, since 1990. Coordinator and Researcher, applications for ‘Righteous Among Nations’ honours from Holocaust Museum in Jerusalem. Involved with the development of the ‘Courage to Care: Rescuers of Jews during the Holocaust’ exhibition, Western Australian Museum, 1993. National Council of Jewish Women Australia (NCJWA); Life Member, 2011; Education Chairperson, NCJWA Western Australian Branch, 1989-1998; National Chair of Education, 1967-1970; volunteer, since 1967. – The Alzheimers Association, 1989-1992. – Save the Children – University Branch, 1989-1992. – Director, Village Bridge Club, since 1983. Volunteer, Swing Golf Club, since 1983; Life Member. Established counselling service, Carmel School, 1983-1986. Member, Alternative Courses Steering Committee, Department of Education Western Australia, 1978-1980; Advisory Board Member, Kindergarten College Council. District Guidance Officer, North Metropolitan Area, 1972. Psychologist/Guidance Officer, Balcatta Senior High School; Cyril Jackson Senior High School; and Mount Lawley Senior High School, until 1983. For service to local government, and to the community of the Ballina Shire. Mayor, Ballina Shire Council, 2002-2012; Councillor, 1992-2012. Chair, Rous Water County Council, for 7 years; Councillor, for 17 years. President, Northern Rivers Regional Organisation of Councils, for 2 years; Member, for 10 years. Chairman, New South Wales Country Mayors Association, for 2 years; Member, for 10 years. Member, Aviation Access Working Group, since 2010. Director, Paraplegic and Quadriplegic Association of New South Wales, 1976-1987. Australian Representative, Edinburgh 1970 Commonwealth Disabled Games; 3 Silver Medals for swimming. For service to aged care, cultural and sporting organisations. President, Emmy Monash Home for the Aged, 2000-2006; Vice-President, 1997-2000; Board Member since 1993. Board Member, Jewish Museum of Australia, since 2006. Former Committee Member, National Gallery Society of Victoria. President, Ajax Ski Club, 1996-2000. Foundation Committee Member, Lorne Sculpture Committee, 2005-2007. Member, Property Law Committee, Law Institute of Victoria. Frank Tisher said he felt “very humbled” to be elevated to the Order of Australia for service to aged care, as well as cultural and sporting organisations. A particular highlight of this work has been his time spent at Emmy Monash Aged Care, where he served as president between 2000 and 2006 and remains on the Board of Directors. During his term as president, he noted that with the support of a dedicated Board of Directors, staff, volunteers, residents and families, they redeveloped the site from a Special Accommodation Hostel to a fulling integrated Ageing in Place facility. “I feel strongly about aged care because respect for our elders has always been a cornerstone of Jewish family life,” Tisher told <I>The AJN<P>. 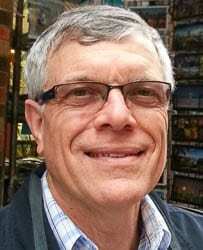 In addition, Tisher has been on the board of the Jewish Museum of Australia since 2006, and been president of both the Maccabi Tennis Club and the Ajax Ski Club. His interest in culture stretches beyond the Jewish community, being a former committee member of the National Gallery Society of Victoria, and a foundation committee member of the Lorne Sculpture Committee. “I have dedicated a great deal of my time to cultural and sporting organisations because I have always felt it is important to give back to the community and help set an example for future generations,” he said. For service to the community, particularly to historical and genealogical groups. 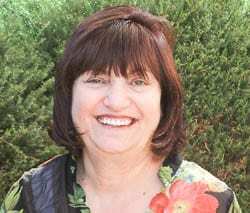 Founding Member, Jewish Historical and Genealogical Society of Western Australia, since 2005; Vice-President; Founding Editor, Perth Jewish Roots newsletter. Active Member, Jewish Steering Committee, Western Australian Northbridge Congregation Project, 2005-2010; Co-Curator, Early Jewish History in Northbridge (Exhibition), 2006. Archived records, Perth Hebrew Congregation. Michelle Urban told J-Wire she is “very humbled” to have been awarded this honour. She is a fourth generation Australian on her mother’s side and her father is a Holocaust survivor. 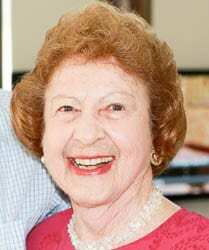 She said: “I derive satisfaction of helping people and to keep alive the heritage and cultural history of the Jewish community in Western Australia and working with the many people who have similar interests and ideas which is quite exciting. I originally wished to do research into my own family and especially my maternal grandfather who was a very well-known Perth horse book maker and to learn family history. As there was no Jewish Genealogical help in Western Australia at the time, this interest expanded to helping other people which led to the formation of the Society. I was very interested to read the distinguished career of Professor Alan Rose in the area of mental health. Having recently emigrated to the Tablelands in North Queensland, I have found that certain areas controlled by Government funding are very similar to those in the UK. Having been involved in mental health ( I have had depression caused by food intolerance) and being a member of the now defunct UK Government Commission for Patient and Public Involvement in Health (PPI) working with the local Mental Health NHS Trust, I can understand Prof Rosen’s frustration at the attitude in general by Governments who always put the disabled, elderly and mental health patients at the bottom of the pile when it comes to funding. His personal thoughts on the matter equate with mine and the experiences I had in the UK. Looking through the papers Prof. Rosen has delivered, my eye caught no.17 a keynote address ” Community Care of the mentally ill- who cares?”. This was address was given in 1987! So what has changed from then to today? Nothing. Why is this? It should not be necessary for Prof. Rosen, in 2014, to have to make these comments. Is it not possible for heavyweights in the mental health area, like Prof Rosen, to put pressure on Government to change this on-going despicable state of affairs. I hate to say this, but in my opinion, there was a regime in the 1930’s who targeted the same group of people in a more brutal way. I rest my case. 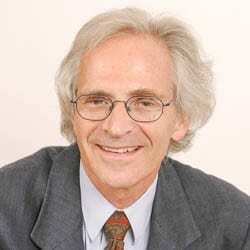 The situation in the UK is far worse than even Professor Rosen has stated. In three cases that I have knowledge of Social Workers and the recently introduced financial constraints are making the lives of the disabled, mentally ill and the elderly virtually impossible. More and more homes are closing down purchased by property speculators, and fewer and fewer beds are now available. Disabled men and women are being placed in Old Age Homes with severely disturbed mentally ill patients. Social Workers, from my own personal experiences, are leaving university with their degrees, but with no life experiences and very little understanding of their clients problems. The elderly and disabled have their wishes totally ignored and are usually patronised and if they have few immediate relatives they become lost in the system. With the financial cuts the position in the last year has become frighteningly worse, and now I understand the same situation is become the norm in Australia. Every single one of us should be very worried and concerned, but what amazes me is that the medical profession, with some exceptions seem to have very little influence when in point of fact, they should be protesting much more vigorously, and I would like to know why they do not?